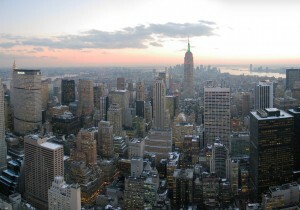 In 2009, we decided that we wanted to do more to engage with our alumni based in the United States. 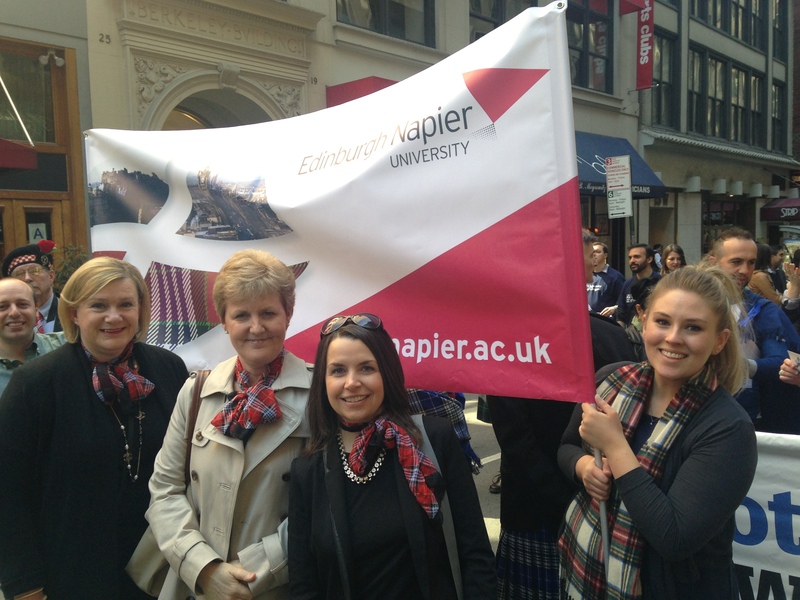 Scotland Week, seemed like the ideal opportunity for Edinburgh Napier to grow it’s alumni association in the USA, and participate in a seven day celebration of Scottish heritage and culture. There are approximately 6 million people in the United States who claim Scottish descent and we have over a thousand graduates currently living there. 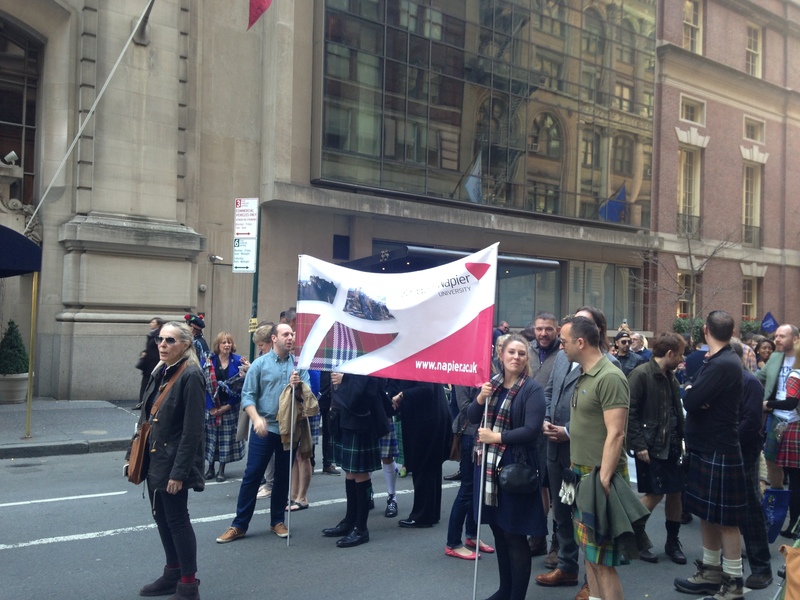 Scotland Week has grown considerably since the first ad hoc Tartan Day celebration occurred in 1982. It is now held annually on April 6, a nod to the signing of the Declaration of Arbroath in 1320. Celebrations of Scottish culture in North America and Australasia increased in popularity throughout the 1990s and today, it’s a week of exciting events, exhibitions, music, art and designs and of course, the Tartan Day Parade. 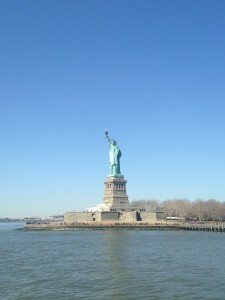 For one week only, Lady MacLiberty! I travelled to JFK on 7 April in the company of Karen Cairney, Director of External Relations and Communications. 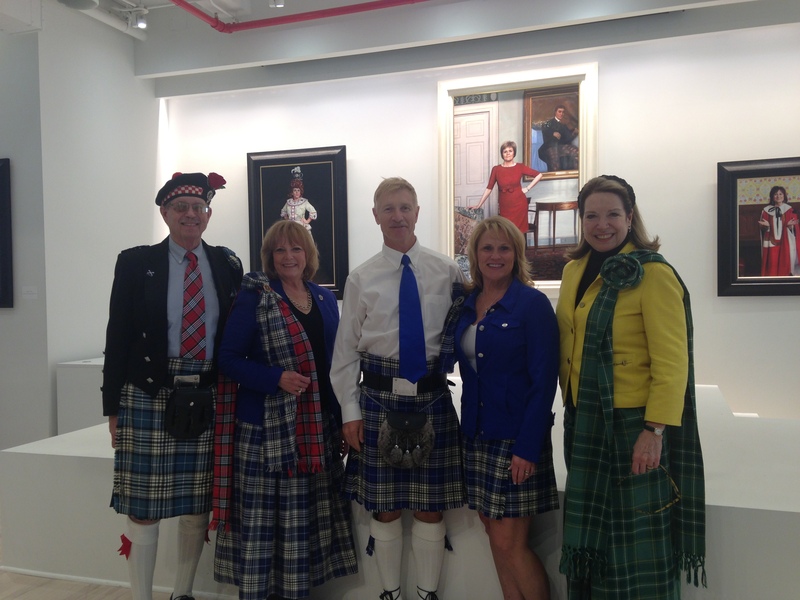 We landed in the Big Apple late afternoon, which was followed by a quick turn around and headed over to Glasgow Caledonian University’s New York Campus on Wooster Street for the Scottish Artist, Gerard Burns, Exhibition Opening. We loved having the opportunity to take in the work of this incredible artist and had the chance to revisit the art and meet the man himself later that week . The Herald has described his style in the following terms: “Man, woman and beast are depicted in photographic detail, in the midst of an unfolding narrative, but the scene portrayed is always a moment of stillness”. Wednesday 8 April and Thursday 9 April were filled with meetings and reunions with some of our graduates based in the US. These included Keith Denholm, a successful shipping director and Dr David Eustace, internationally renowned photographer and Edinburgh Napier Honorary Graduate. We met up with BA Accounting graduate from the class of 1997, Steven Falconer, who has gone on to work for Stone Harbor Investment and 2009 graduate and Assistant Director of Employer Relations at Harvard University, Dustin Gee. It was also great to catch up with Jason Hite, Alumni Blog contributor and new Director of Engagement at XCelerate Solutions. We relished the chance to chat and collaborate with our graduates – to hear all that they have achieved and look to Edinburgh Napier’s future to find out how we can further support each other. 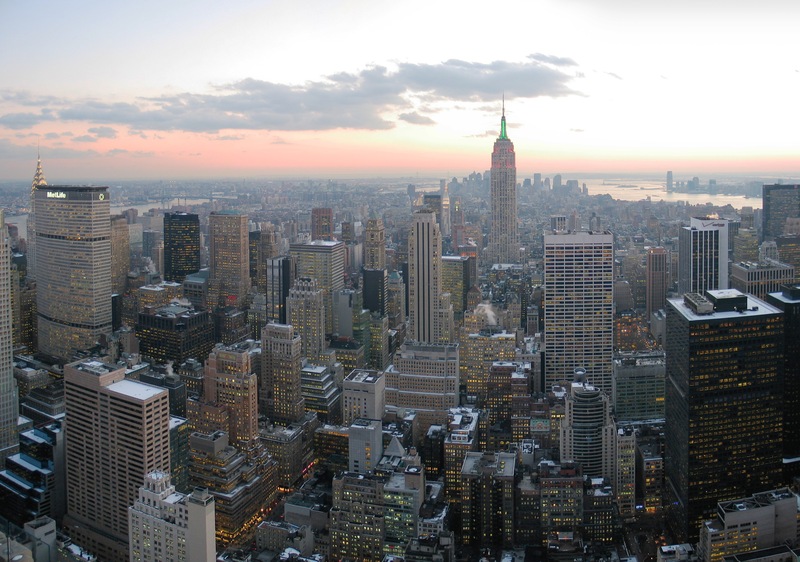 New York has been the location of countless classic films, from Breakfast at Tiffany’s to Birdman. It was the perfect place to meet up with Katy, Meriel and Marie from Location Scotland. 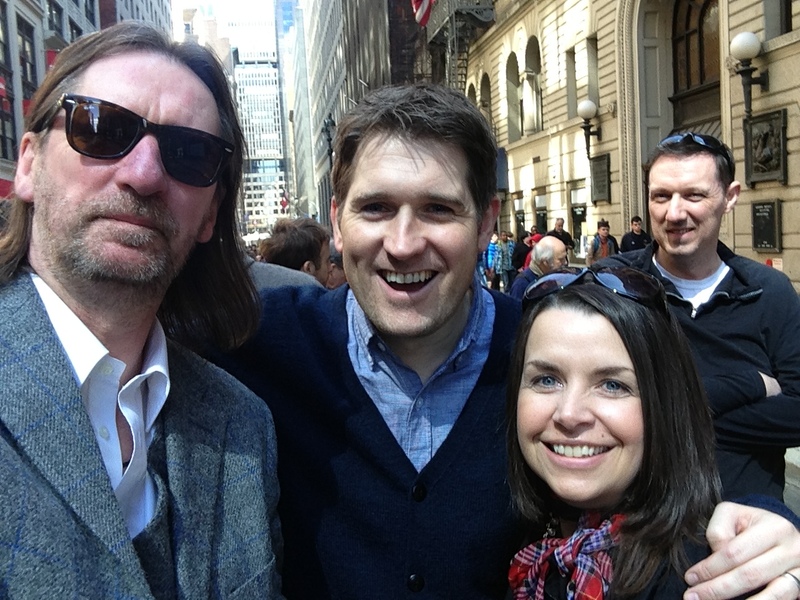 Coming to New York for Scotland Week not only affords us the chance to reconnect with our graduate body, but to forge new friendships. Location Scotland is Scotland’s largest and most professional production company for moving image and stills in the UK with a stellar international reputation. 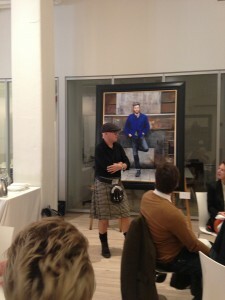 It was the team’s first time in New York for Scotland Week so we were delighted to make a few introductions. Location Scotland has made the kind offer of providing a student placement, helping to enhance the student experience for our marketing students. We can’t wait to work more closely with them – and to see more of the beautiful work that they produce! 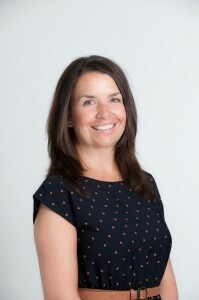 On Thursday, we were joined by Principal, Professor Andrea Nolan. Andrea joined our New York trip for the first time last year and was back on board for more meetings. We had a very successful meeting with US Advisory Board and met with up with our American family members Clan Napier. Clan Napier are always so supportive to us and it was great to discuss future projects with the University. 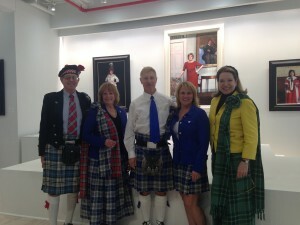 Looking terrific in tartan with Clan Napier and Board Member, Suzanne Currie (far right)! Saturday 11 April was a highlight of the trip. At 11am, the Principal hosted a delicious brunch provided by the wonderful Highlands Restaurant, for alumni, friends and supporters. It was a great opportunity to have another look at the incredible Gerard Burns artwork and to meet the man himself. We had a lovely time talking to lots of graduates. Recent graduate Caitlin Clements who graduated in 2014 with a degree in Journalism told us about her just-completed postgraduate qualification at Columbia University. 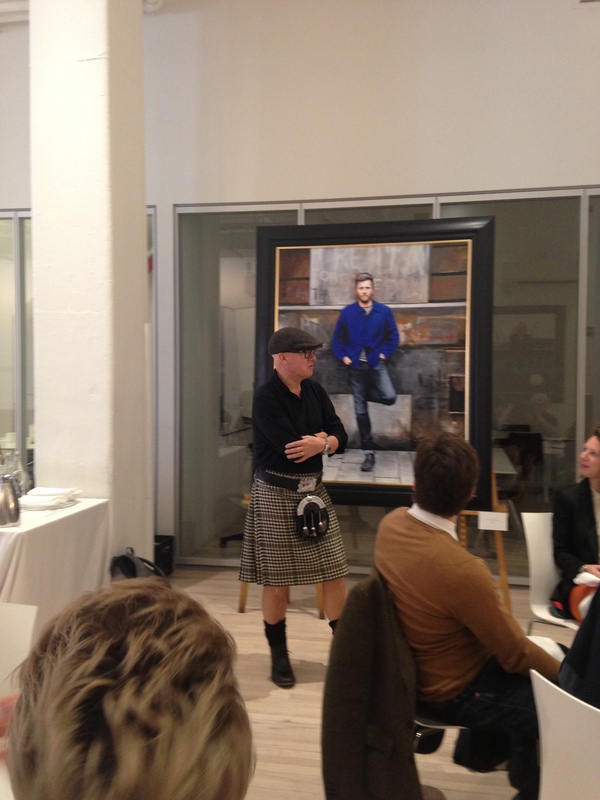 Many of us gathered at the event were particularly appreciative of Gerard’s lifelike portrait of Ewan McGregor! We walked off our brunch with the Tartan Day Parade. Our group is ever-expanding and with glorious sunshine lighting 6th Avenue, it was a great way to round off our trip as we all marched down 6th Avenue together. The parade has a very special atmosphere – the pipe bands, the Highland dancers, the spotless and enthusiastic West Highland terriers – it is an incredible spectacle to observe and even more touching to be part of it. Karen Cairney, Principal Nolan, me and Caitlin Clements – holding our Napier banner with pride! The video link shows us preparing to set off down the Parade path and is definitely worth a watch! After a week of discussions, culture and collaboration, we all returned to Edinburgh, and already look forward to continuing to grow our North American community.